Davie Bowie's first-ever studio recording found gathering dust in somebody's "bread basket"
When we think of David Bowie, we tend to think of Ziggy Stardust and lavish stage shows and scene-stealing film roles. We don’t, it’s safe to say, think of Bowie, shoddy guitar in hand, playing an empty coffee shop or recording in his garage. 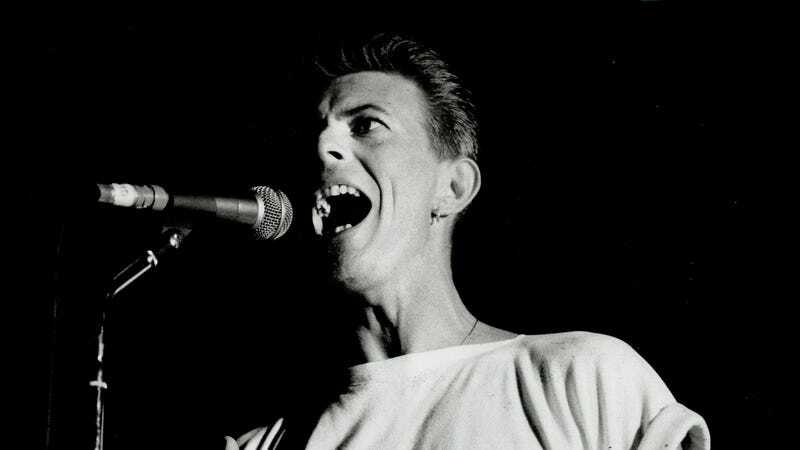 And that’s why a newly unearthed, 55-year-old recording of Bowie singing with his first band, The Konrads, is so compelling. The lo-fi cut, which the BBC reports was found languishing away in an old bread basket, features a 16-year-old Bowie (then known as David Jones) singing a song called “I Never Dreamed.” It’s believed to be the first known studio recording of Bowie. Our agent, Eric Easton, who also managed The Rolling Stones, asked us to do a demo so he could try and get us an auction at Decca. So in early 1963 I booked into R.G.Jones small studio in Morden. In preparation for the demo David and our guitarist Neville Wills wrote 2/3 songs. We had decided that we would do a couple of guitar instrumentals and one original song. I chose “I Never Dreamed” as it was the strongest, the other two were a bit weak! I also decided that David was the best person to sing it and give the right interpretation. So this became the very first recording of David Jones (Bowie) singing 55 years ago! There is no other recording featuring David as lead in existence. Decca initially turned us down, but when they eventually gave us an audition later that year, vocalist Roger Ferris was the lead voice and David sang backing harmonies. Also of note is that Bowie had no desire to sing at the time, with Hadfield noting that Bowie dreamed of becoming “a world class saxophone player.” Bowie didn’t stay with The Konrads for long, and eventually found his own solo success roughly six years later. You can hear a 12-second clip of the song below, but you’ll need to cough up £10,000 to hear the rest, as that’s what the U.K.’s Omega Auctions is forecasting the auction price as.